Paw prints are everywhere when it rains, but this ceramic food dish has a permanent paw print. 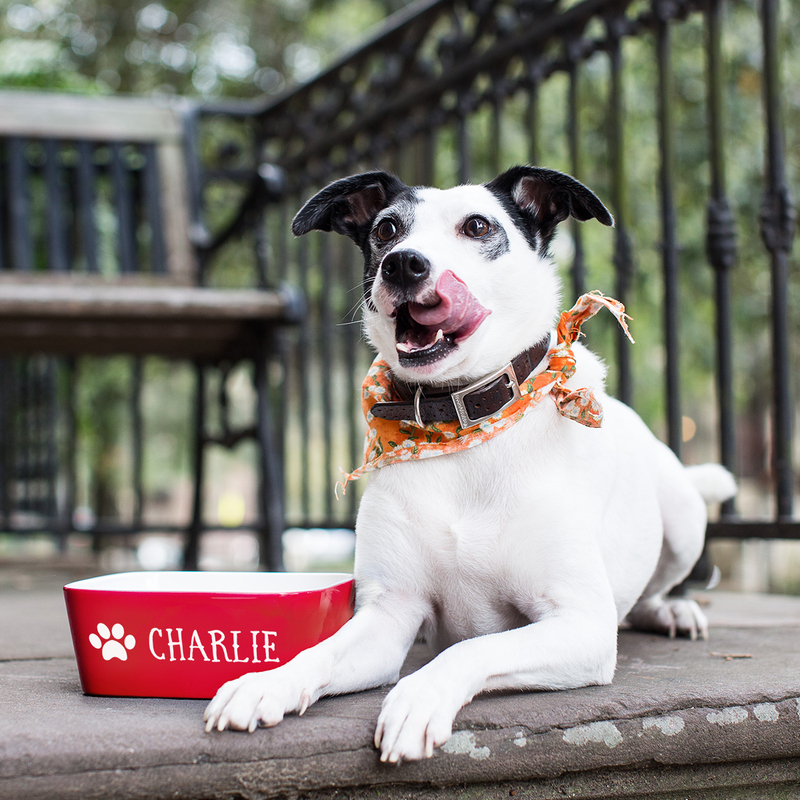 Add your dog's name for a classy look to feeding time. Feeding time can be frenzy time and if your large dog tends to push his bowl all over the room, this ceramic bowl might be the solution. Made of quality ceramic, this pet bowl can be personalized with your dogs name in your choice of fonts. Paw print sits to the right of the name. Comes in red, blue and black. Engraving is white. Order yours today!